Before differentiating between the two, it’s important to know what does paid search and organic search refers to. When you search anything on Google, two types of search results are displayed. 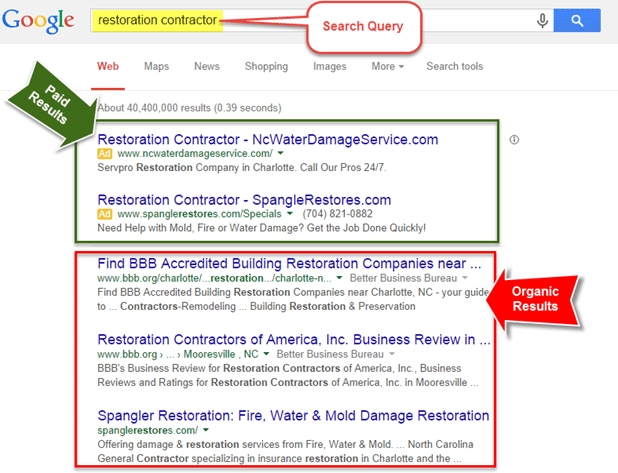 Google provides two different ways to gain traffic namely by paid search and organic search. These are two different ways adopted for acquiring traffic to your site. This method of acquiring traffic is called search engine marketing (SEM) and search engine optimization respectively (SEO). In paid search, the companies pay for their results to appear on the top of the screen above all the organic search results. 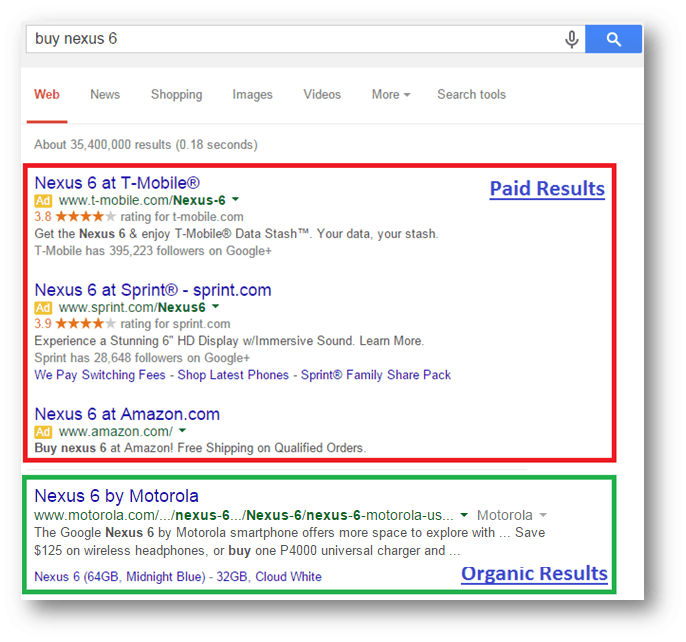 The paid searches are advertisements and a small yellow box with ‘Ad’ is displayed with such results. People still fail to recognize them as ads and click on them. This is the reason alone why paid searches have become popular than organic search. The company doesn’t have to wait for the SEO to build up; they can directly get the pass to appear on the page of Google search results by paying for it. Google Adwords is a Google program which provides for paid search. It is the most famous and used PPC (pay-per-click) program available for marketing. Google Adwords is a really effective program and accounts for about 70% of the Google’s revenue. Getting started with Google Adwords is easy and can be profitable for your company once you are set right for it. Paid search can attract a lot of traffic to your website and can even outright the benefits of organic search. When you search anything on Google, the results that appear below the paid results in large numbers are the ‘organic results’. These are the natural searches that have make up to the top page of Google search results because of their quality of content. The traffic that is gathered to their website from these links is called the ‘organic search’ traffic. It is purely the hard work of the company and SEO that their website is a part of the organic search. These are genuine and truly exceptional websites. Organic traffic is the most preferable and valuable means of gathering traffic to a website. Where paid search involves only 3 to 4 results on the top page, ten organic search results are displayed on the first page of Google search results. This accounts for the maximum amount of traffic. Organic results are the most trusted results by researchers. Google displays the extremely best and high-quality content on its first five results and is very particular about rankings. Being displayed in the top 10 ranking of organic search is very fruitful to the company. But this requires a lot of time and effort. 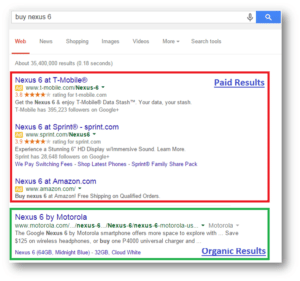 Both the paid search and organic search has its advantages and disadvantages. If you need to choose either of the two for your company’s website, you need to take down note of your budget; the time period in which you want positive results or rather you are only concerned with true fruit regardless of the time it takes.